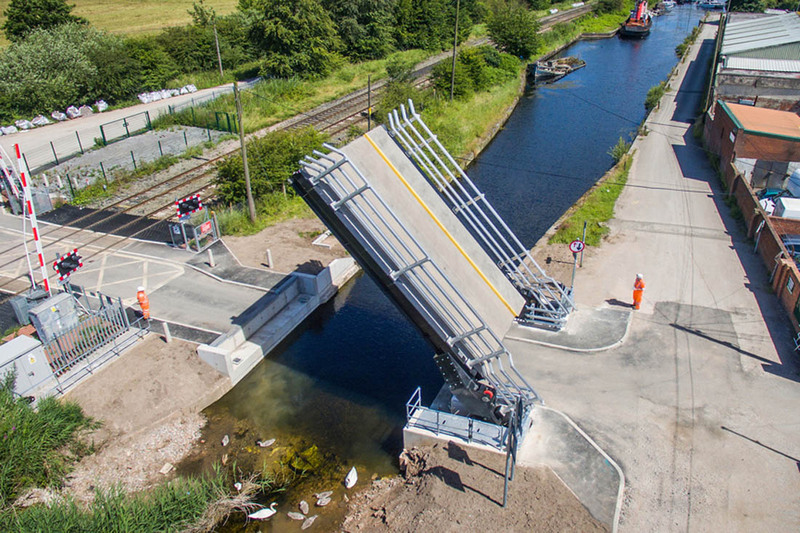 Taking on one of our most ambitious projects yet, we were tasked with the production of a new bridge across the Sankey Canal in Warrington. 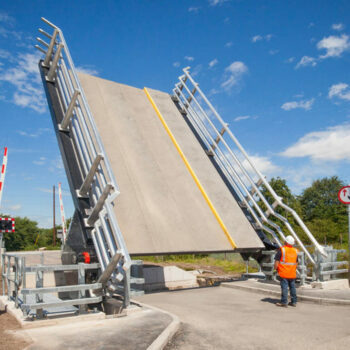 The new bridge was built to replace a temporary, steel bridge that could only support pedestrians and, in turn, caused disruption to local businesses. 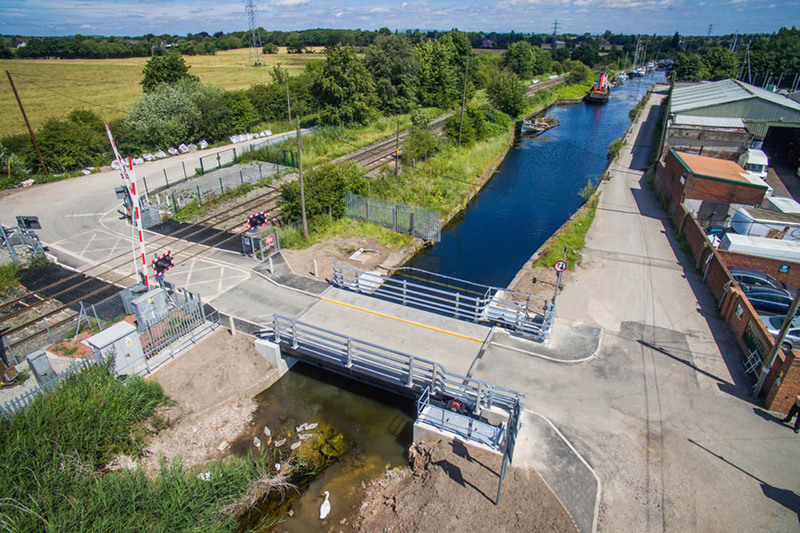 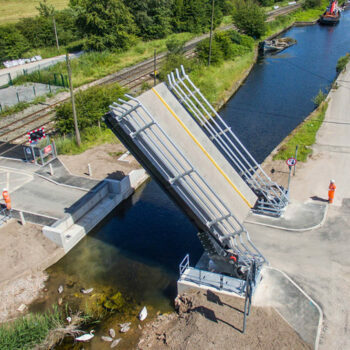 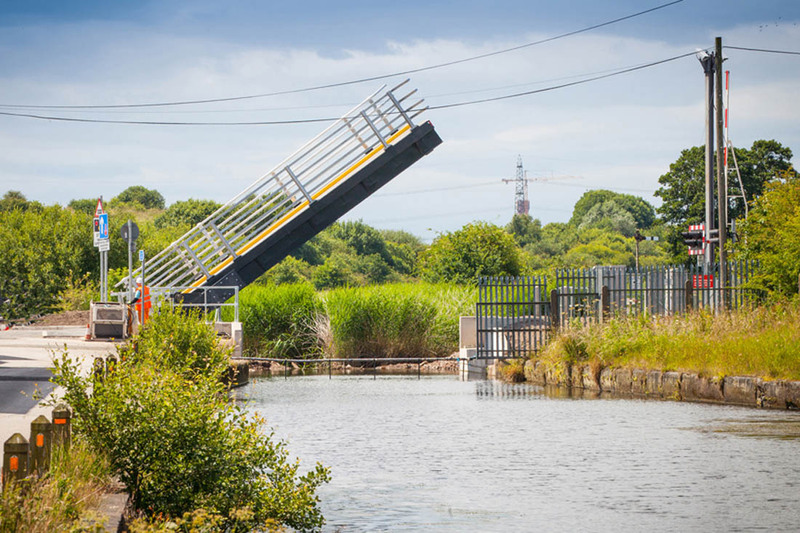 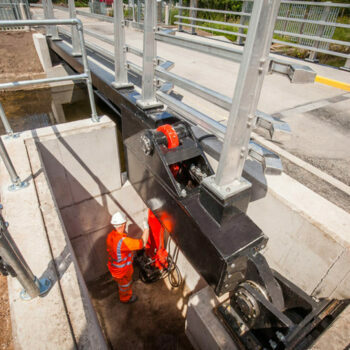 Working closely with our colleagues at AMCO Engineering we successfully designed, manufactured and installed a single leaf bascule bridge, improving access to the neighbouring trading estate. 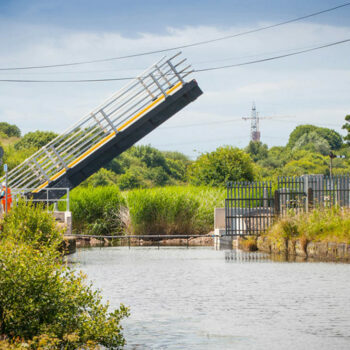 The hydraulic powered bridge can be raised to let boats pass along the canal and through to the nearby marina. 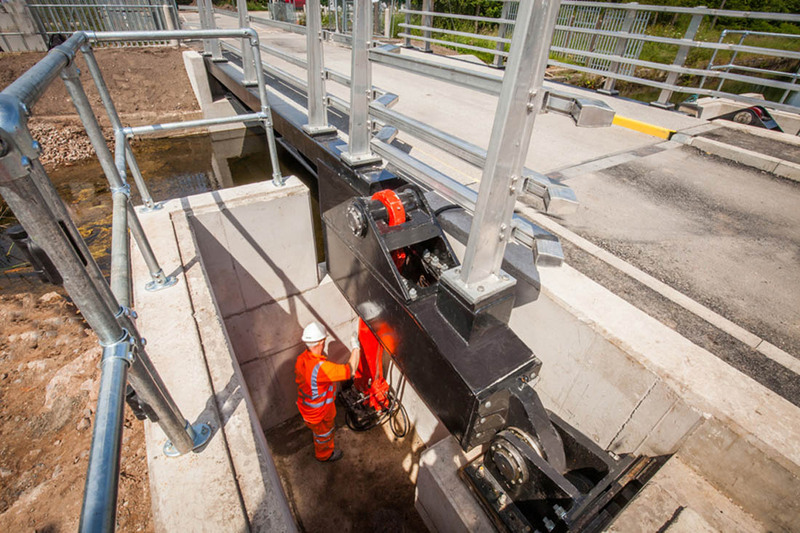 With the bridge is capable of supporting loads up to 40 tonnes. 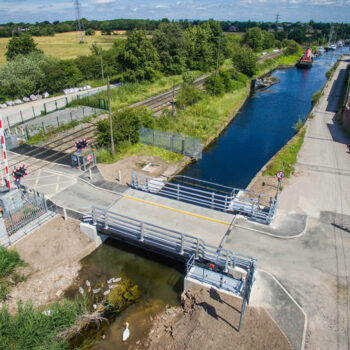 It helps provide stability and opportunities for future developments in the surrounding area. 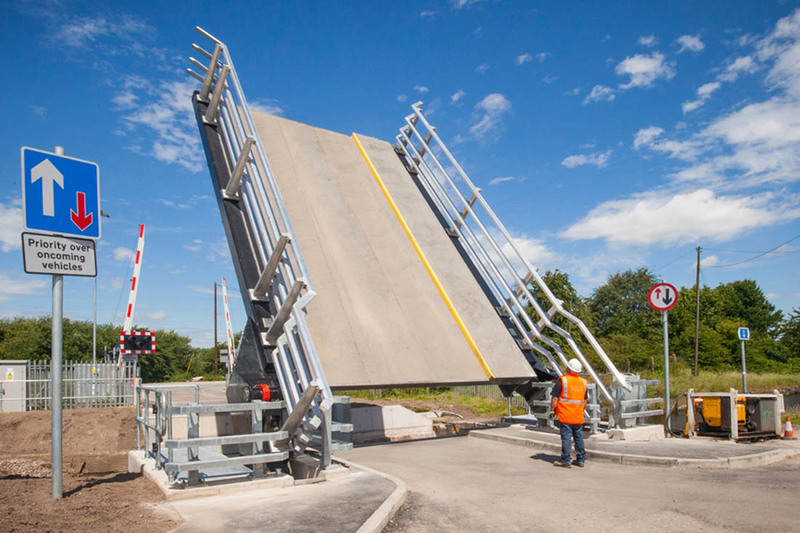 Being wider than any previous bridge before it, it also allows a larger range of vehicles to pass through with ease.